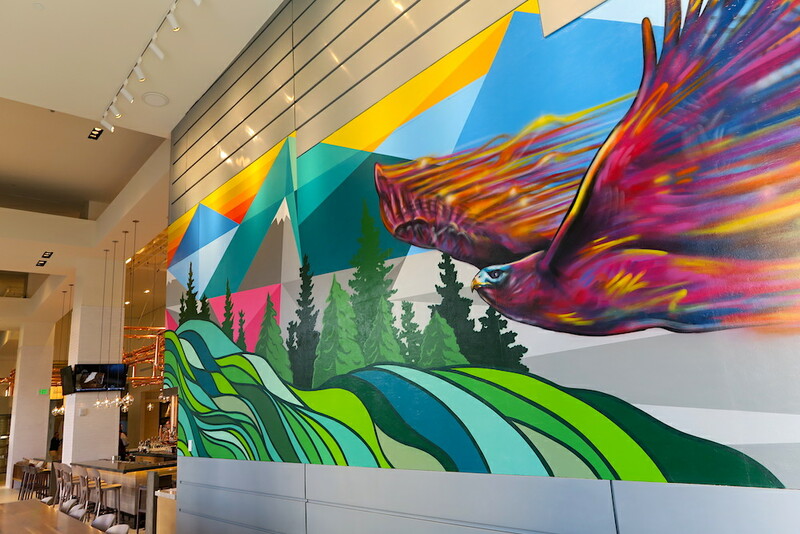 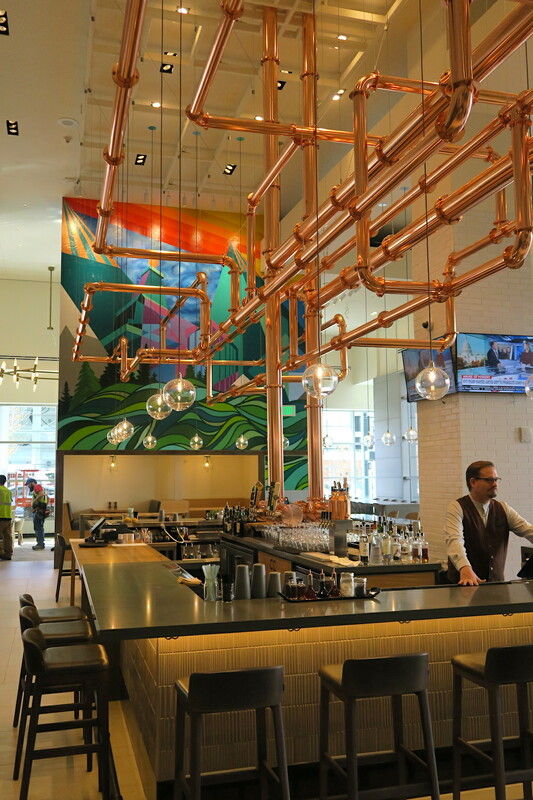 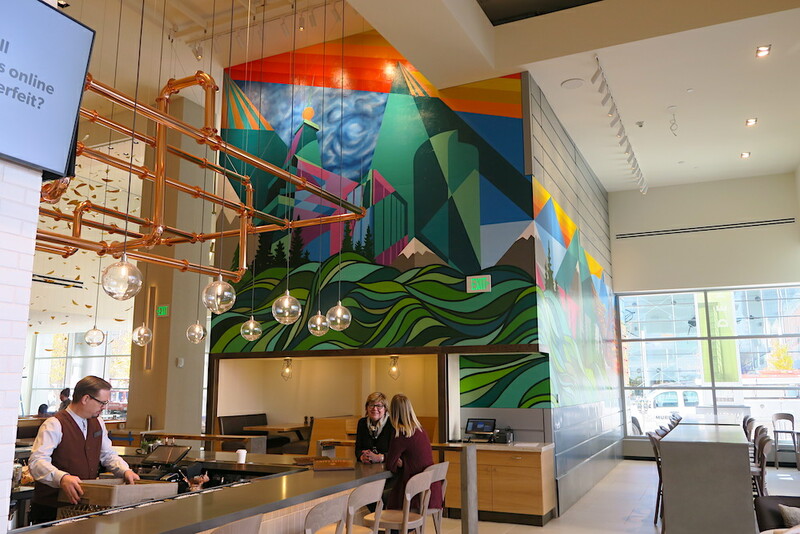 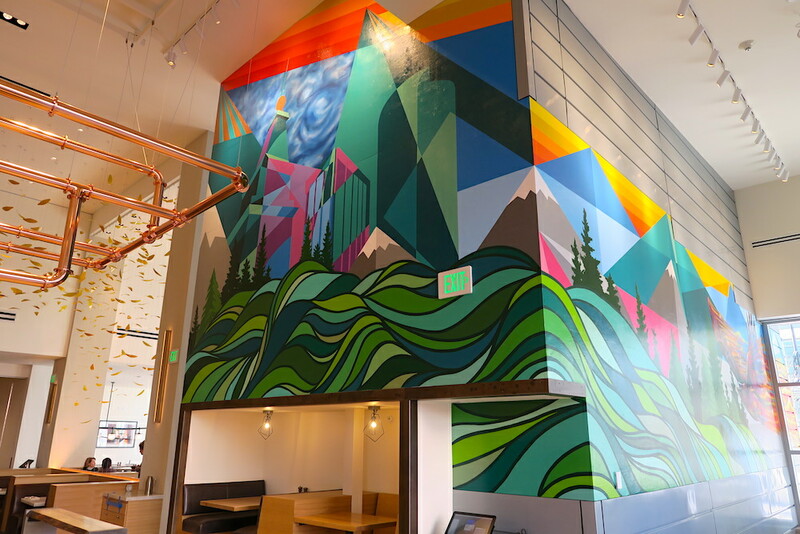 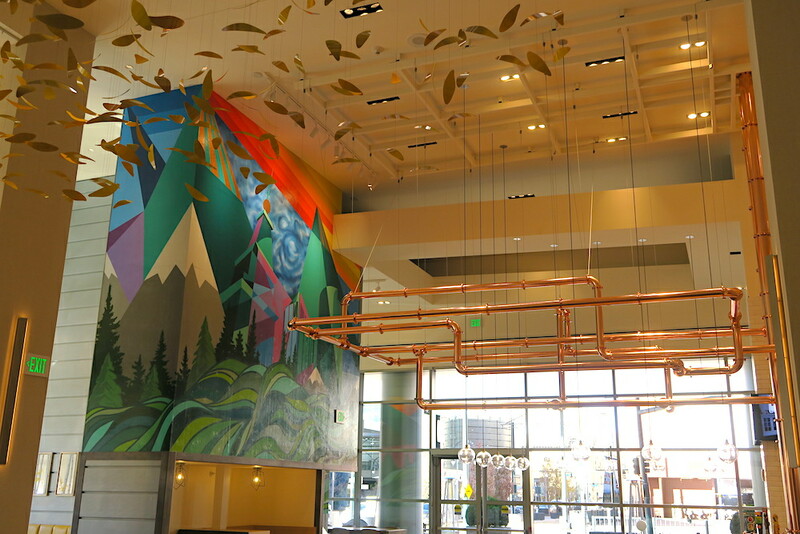 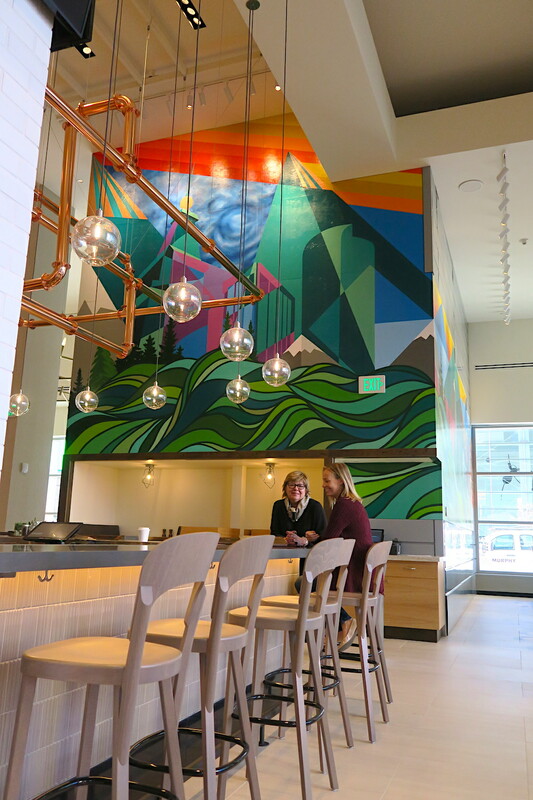 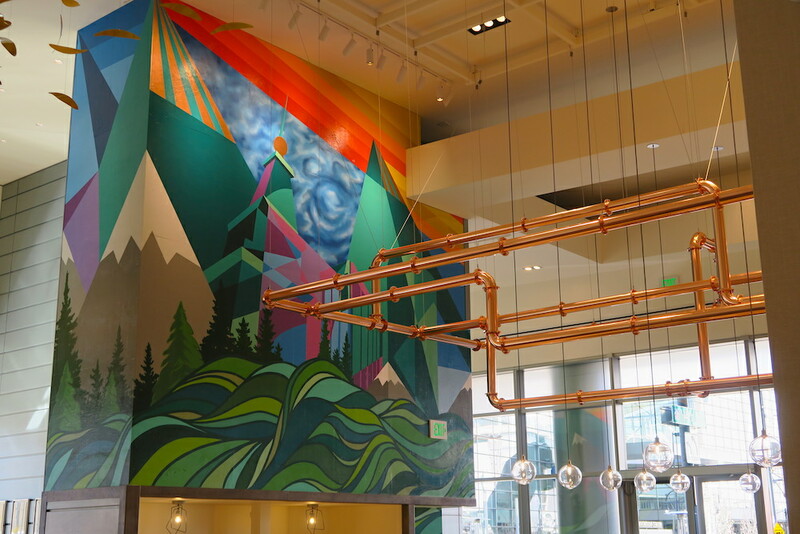 Painted in December 2018, So-Gnar was commissioned by NINE dot ARTS to create an exterior to interior mural for the Hyatt Regency's newly renovated restaurant, Former Saint. 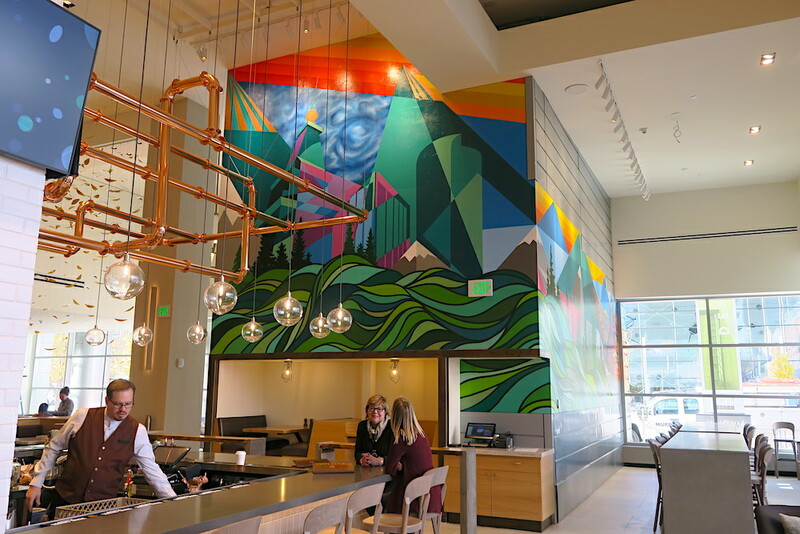 Drawing inspiration from the ease with which you can easily go from the mountains to the city in Denver, the team mixed geometric patterns with bright. 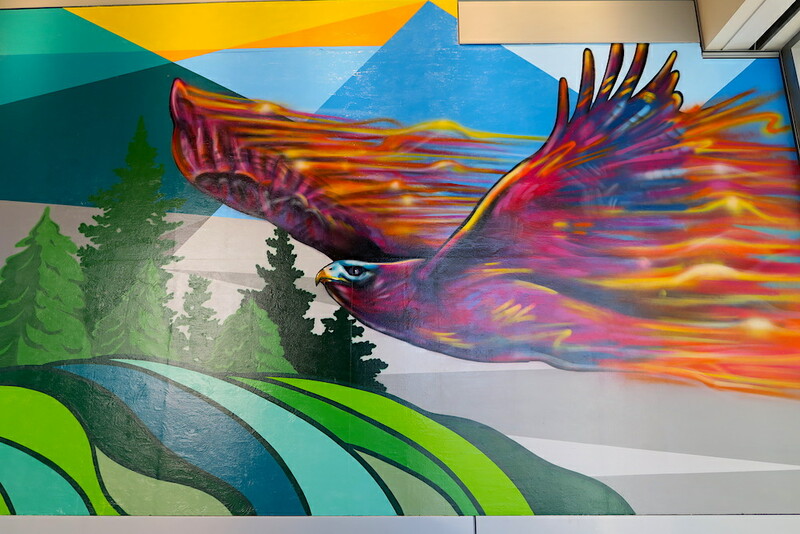 bold colors and a psychedelic eagle. 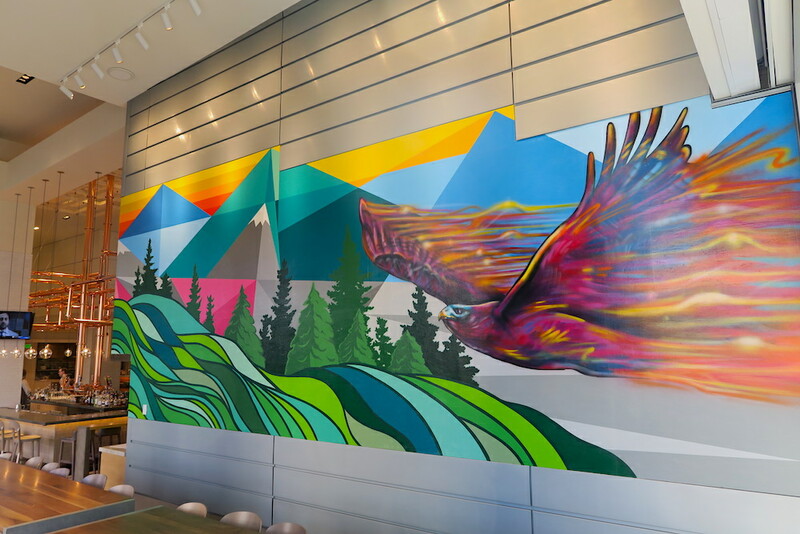 Designed by Pat Milbery and Pat McKinney and painted by Milbery, McKinney and Josh Deitchman.